If you know of an individual, organization, or business that stands out for helping others, the Union County Human Relations Commission would like to know about them. The Commission is seeking nominations for its prestigious 2018 Unity Achievement Awards, which honor volunteerism and public service in all of its forms. Award nominees must live, work, or attend school in Union County. “These Awards recognize programs, services, activities, and efforts being put forth by local role models who promote cultural diversity, strong community relations, and human rights,” Mislan added. Past Unity Achievement Award recipients have included corporations, business organizations, community organizations, nonprofit organizations, individuals, law-enforcement representatives, public servants, clergy, faith-based organizations, members of the media, students, educators, and veterans. The 2017 Awards will mark the 16th annual year in which honorees have been named. The Commission’s 2017 Awards honored grief counselors, an eighth-grade student, a high-school senior, a retired police lieutenant, volunteers who assist foster children, three mothers, two veterans, and our neighbors who volunteer their time. Their efforts included helping children cope with loss, providing meals to seniors, making available child-to-child encouragement for children combatting cancer, increasing youth understanding of autism to encourage acceptance and friendship, and more. A listing of all of the previous Unity Achievement Award recipients in all categories can be found on the county website, ucnj.org. 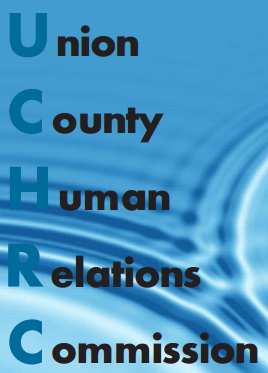 The commissioners who volunteer their time and energy to serve on the Union County Human Relations Commission unequivocally agree that the best way to strive to accomplish their mission — to actively encourage, develop, promote, and strengthen respect for human rights and cultural diversity among the people of Union County — is to publicly honor those who already do it well. Nominations for the 2018 Awards are being accepted now, and they must be received no later than Wednesday, December 27, 2017. The nomination form is available online at www.ucnj.org/uchrc. You can also request the form by calling Commissioner Karen Positan at 908-889-9028 or emailing her at kpositan@ucnj.org.